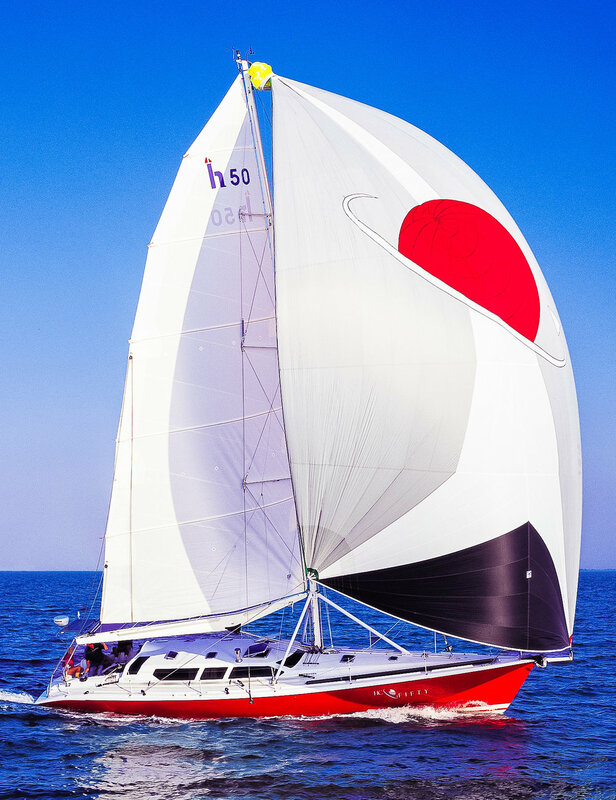 UK Sailmakers’ asymmetrical pole-less Cruising Spinnaker makes downwind sailing much more lively and fun. Not needing a spinnaker pole, the Cruising Spinnaker is the perfect sail for shorthanded cruising. 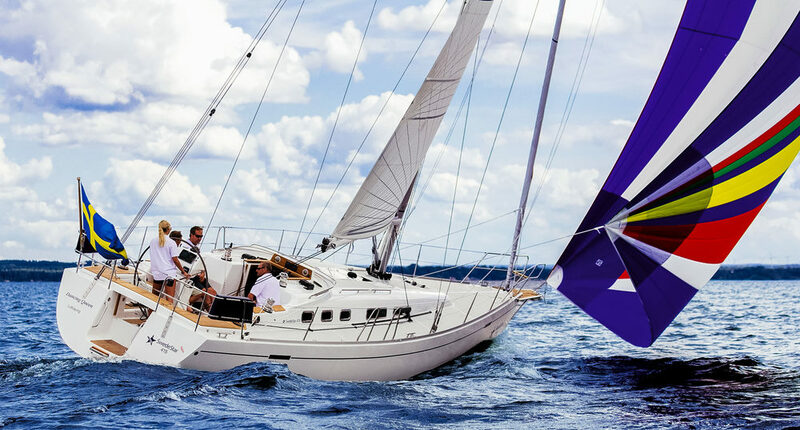 The Cruising Spinnaker combines the ease of handling a genoa with the pulling power of a spinnaker. The asymmetrical shape with the luff longer than the leech creates a stable sail that is easy to trim and prevents it from becoming ill-mannered as traditional spinnakers can be. The sail is so stable that you can use it with your autopilot. We design the Cruising Spinnaker with an all-purpose shape so that it can be flown from beam reaching to broad reaching in winds from faint zephyrs to a stiff 20-knot blow. Its full radial panel layout is the most durable method to make a spinnaker because the strongest yarns of the nylon material are aligned with the loads between the corners of the sail. The multitude of panels allows a greater creativity in designing a personal color scheme. Use UK Sailmakers’ online painting tool to try out different designs. To further simplifying using the Cruising Spinnaker, set and douse it with a Top-Down Furler or dousing sock, which we call the Stasher. The Stasher does the work of several long armed crewmembers. With the sock, the Cruising Spinnaker can be set, trimmed and lowered by two people or one person and an autopilot. Click here to see a video on dousing the cruising spinnaker with a Dousing Sock. Top-Down Furlers are a popular sail handling options, but some can cost as much as the new Cruising Spinnaker. Click here to see a video comparing spinnaker furling options. UK Sailmakers has produced a DVD that is a true A-to-Z description of how to set up and use a cruising asymmetical spinnaker. The 18-minute video goes far beyond just how to jibe and trim this cruising spinnaker. Learn handy tips on how two people can hoist and douse the sail, what kind of sheets work best, what equipment you’ll need, how to enlist the wind to help move the sail across your boat when jibing. See how to pack the sail in its bag so it will launch easily, what to look for when adjusting the height of the tack, and much more. You can order this DVD for only $20 at UK Sailmakers’ online store. Click here to see a clip from the video jibing the Cruising Spinnaker.